‘Landscaping stalwart and expert Michael Bates has written an incisive account of 18 Australian gardens of particular significance. 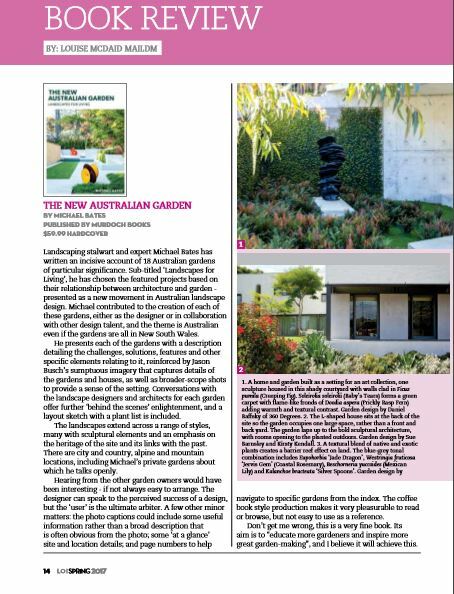 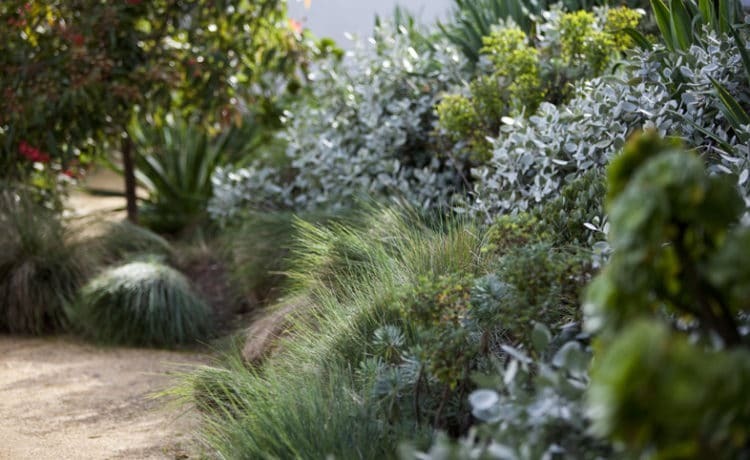 Sub-titled ‘Landscapes for Living’, he has chosen the featured projects based on their relationship between architecture and garden – presented as a new movement in Australian landscape design. 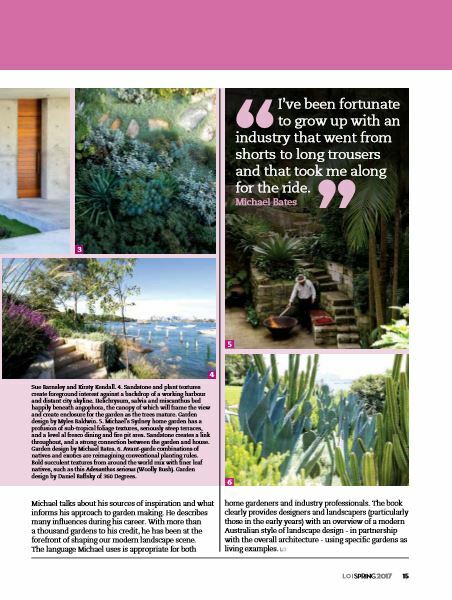 Michael contributed to the creation of each of these gardens, either as the designer or in collaboration with other design talent, and the theme is Australian even if the gardens are all in New South Wales. 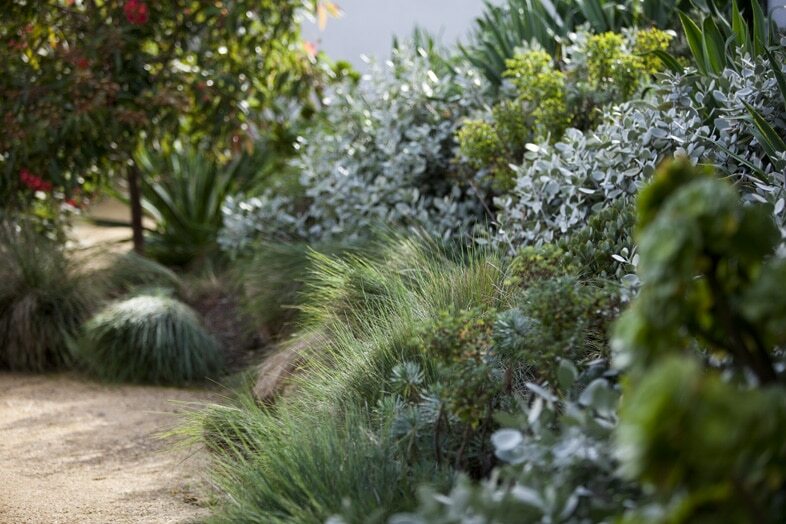 He presents each of the gardens with a description detailing the challenges, solutions, features and other specific elements relating to it, reinforced by Jason Busch’s sumptuous imagery that captures details of the gardens and houses, as well as broader-scope shots to provide a sense of the setting.